Tuong Vy’s online show teaching Vietnamese has also become a means for Vietnamese living in Taiwan to learn Mandarin. 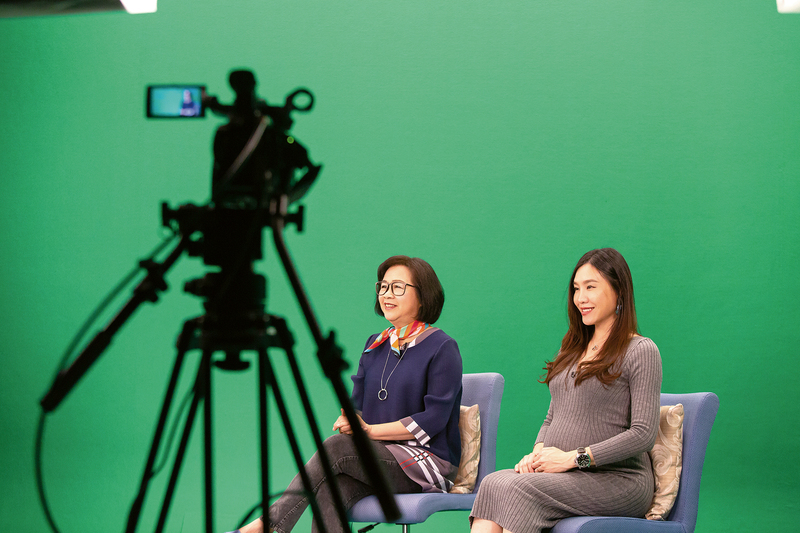 Tuong Vy (right) and veteran TV host Chen Mei jointly host an online show teaching the Vietnamese language. A Vietnamese rose in Taiwan: Tuong Vy. 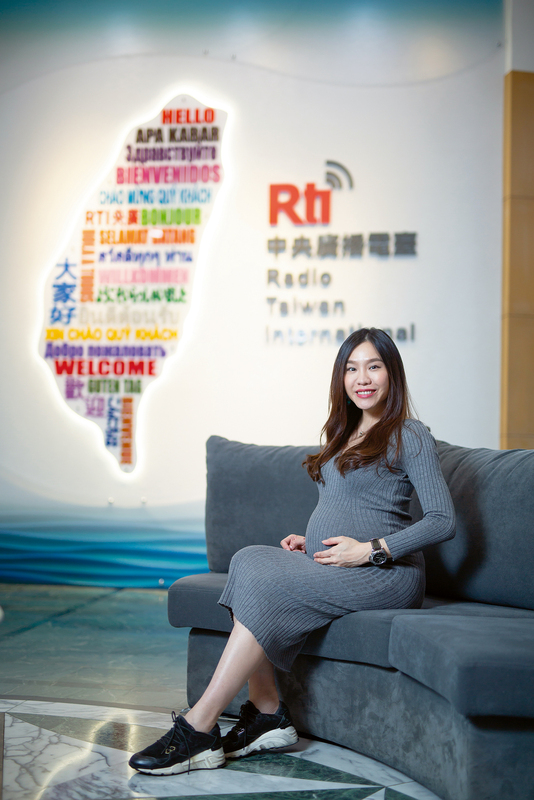 “I am an international student from Vietnam.” Now a radio host and reporter, when Pham Thuy ­Tuong Vy first arrived in Taiwan, she went through a period where she lacked the confidence to even introduce herself this way. Performing in the Public Television Service drama The Vietnamese Brides in Taiwan, though, gave her a means to get beyond the stereotypes a minority of Taiwanese hold about Vietnamese women, and today she proudly introduces herself as “­Tuong Vy from Vietnam.” With her sweet voice and linguistic skills, she has now become a radio host and works to break down the barriers between Taiwanese and Vietnamese cultures. Tuong Vy has an enviably mellifluous voice and a face to match. In addition to her radio work, she has made appearances in programs on the Public Television Service (PTS) and Da’ai Television, making use of not only her Vietnamese, but also the outstanding Mandarin and Taiwanese she has learned over her 15 years in Taiwan. To learn Chinese, she read through the novels of Eileen ­Chang, as well as classics like Romance of the Three Kingdoms and Dream of the Red Chamber. “I wanted to learn Chinese well and quickly. Language is a key, and if I couldn’t open the door, how could I go anywhere?” Thanks to this hard work, in just two years she was able to develop impeccable Chinese. Gifted with a wonderful voice, ­Tuong Vy says that she was almost born to be a radio host—as a child she would even sit in front of the electric fan and imitate the hosts she heard on the radio. Given this, it seems only natural that when she decided to study at college in Taiwan she would choose to major in radio and television. While the majority of Taiwanese are very kind, there are always a small number of people who just have to ask ­Tuong Vy if she came to Taiwan to marry a local. Over time, assumptions like this led to her developing a bit of a complex about her identity, not even wanting to mention her nationality to people. According to Erik Erikson’s stages of psychosocial development, the age of 18 is a time when young people explore their identities and are particularly vulnerable to the influence of external values. ­Tuong Vy’s older sister was also in Taiwan at the time and understood what she was going through. “You work so hard to integrate into Taiwanese life, but why don’t you have any confidence in yourself? You should accept that you are Vietnamese.” Slowly but surely, ­Tuong Vy began to change her perspective, taking these questions that had once been so troubling to her and turning her situation into an opportunity to introduce herself and Vietnam to Taiwan. As her confidence returned, her life in Taiwan began to really blossom. She tested into the Department of Radio and Television at National Taiwan University of Arts, landed a role in the PTS drama The Vietnamese Brides in Taiwan, and began working part time at Radio Taiwan International (RTI) producing programming for their Vietnamese service. With her identity crisis behind her, she was able to tackle the somber PTS drama with a calm heart and learn to stand tall under the gaze of that discriminatory minority. Despite only working part time, she took her job as seriously as a full-time one, taking a hosting skills class and developing interesting new programming ideas. But even so, she was still worried about whether she’d be able to stay after finishing college. At that time, if an international student wanted to work in Taiwan after graduating, they had to meet two conditions: they had to have two years of work experience, and a job paying at least NT$48,000 a month. (The Ministry of Labor has since 2012 relaxed these conditions somewhat, dropping the pay requirement to NT$37,619 a month and doing away with the experience requirement.) ­Tuong Vy had the experience, but getting a job that paid that well was a tough ask for a fresh college graduate. 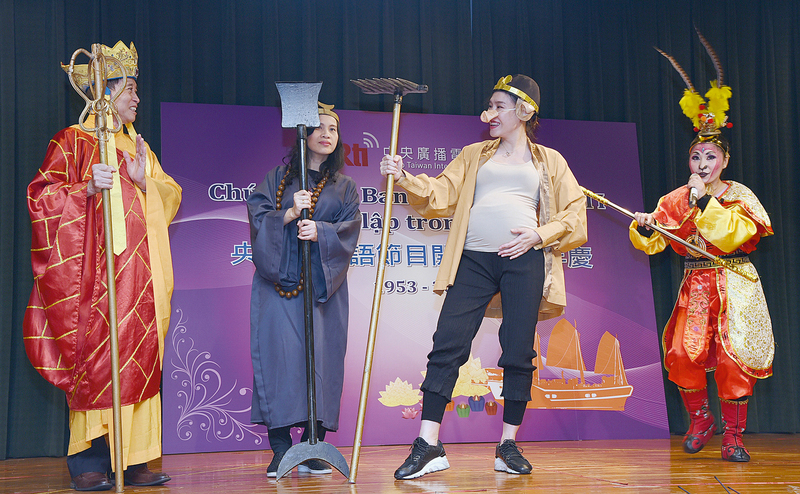 Made under a tight budget and with minimal staff, the show nonetheless turned out to be an excellent way for ­Tuong Vy to promote Taiwan in her homeland. 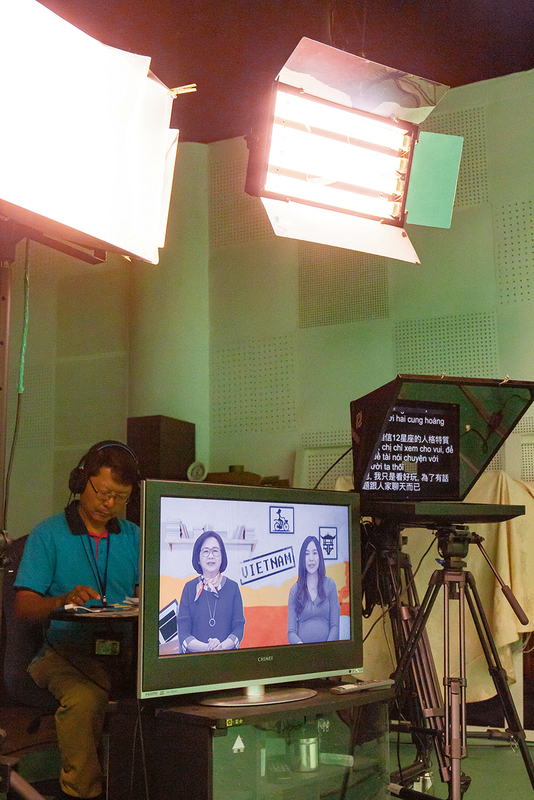 Despite the two countries not having formal diplomatic relations, after a year and a half of hard work by RTI and with the help of the Ministry of Foreign Affairs and the Vietnam Economic and Cultural Office in Tai­pei, Dau Chan ­Nguoi Viet became the first Taiwan-made show to be broadcast on Vietnamese television. The Me Too movement dates back to efforts beginning in 2006 by African-American civil rights activist Tarana Burke to combat sexual harassment. It began to take off in recent years as actresses in Hollywood started using the hashtag #MeToo on Twitter to encourage other victims to stand up and share their experiences. Burke and other activists, dubbed “The Silence Breakers,” were even named Time Magazine’s Person of the Year in 2017, drawing further attention to the issues of sexual assault and sexual harassment. Tuong Vy’s first job was an interpreter for an agency, and while on a business trip, she was sexually harassed by a colleague. After a long night of deliberating, she decided to report the perpetrator to management. Red roses are a symbol of love, just like the love T­uong Vy, whose name is Vietnamese for “rose,” has for Taiwan. That love is what has motivated her to work so hard to break down the barriers between Taiwan and Vietnam. In Taiwan, she leads by example, working hard and proving that Vietnamese people in Taiwan can also excel. In Vietnam, she presents the positive face of Taiwan to the Vietnamese people through her videos. 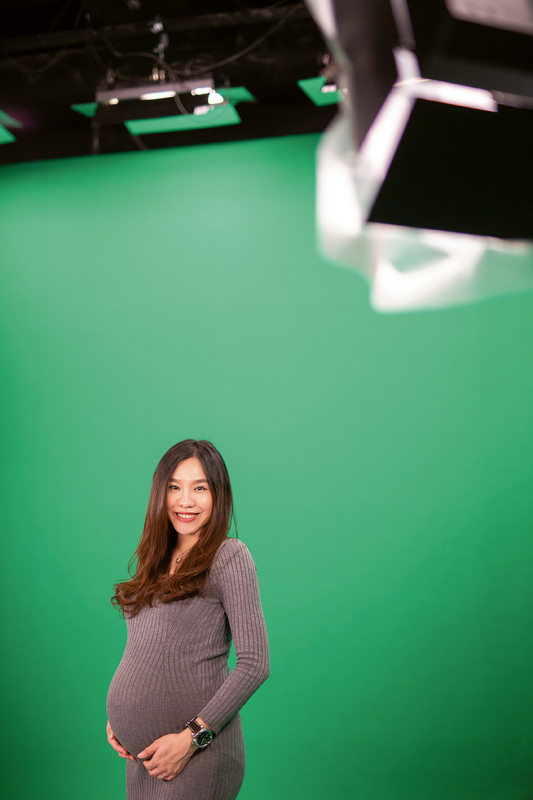 When Taiwan Panorama visited her, ­Tuong Vy was nine months pregnant, and she remarked, “We Vietnamese in Taiwan don’t necessarily have to do anything amazing for Taiwanese society—just raising the next generation well is contribution enough.” With her simple approach, ­Tuong Vy continues to be a beacon of inspiration and positivity in and for Taiwan.